Up the ante of your Poker Room marketing without spending a ton of dough! Need an inexpensive but engaging promotion to reward or incent video poker players? Looking for fun and rewarding ideas for generating excitement on your casino floor any time of the year? Go all in with a giant-prize poker promotion from Odds On! Choose from any of our popular contests below, or let us help you create a custom poker promotion for your property. Looking for a fun and easy Hot Seat or Midweek promotion for your Pit or Poker Room? Check out Odds On's customizable poker-themed Hot Seat Tablets! Qualifying players simply select six spots on the handheld tablet's touchscreen grid, winning a prize based upon how many winning symbols they reveal. If a lucky player unveils all six winning grand prize symbols, they'll take home the insured prize up to $100,000, compliments of your property, and paid for by Odds On! Best of all, you can reward players for revealing fewer winning symbols with free play, gift cards, property merchandise, and MORE. Looking for a new way to incentivize and reward poker or video poker players? Add some big prize sizzle to your Poker Room or casino floor, with Odds On's poker-themed Zoom Ball machine! Inside the glass bowl are 52 balls, each representing a card in a standard deck. Players just press the button and start rooting for a "winning hand" – a winning combination of balls – to land in the Zoom Zone. If a lucky player gets a Royal Flush, they'll win $1,000,000, and Odds On will pay for the prize. Odds On’s poker-themed Lucky Envelope game gives your contestants five different ways to win big! 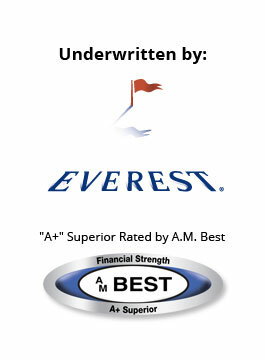 You’ll select a variety of consolation prizes of increasing value, and Odds On will insure your grand prize. Your contestant(s) will select five envelopes from a total of 20, each filled with a card value (four Aces, four Kings, four Queens, four Jacks and four 10s). A three of kind wins Prize A, a straight is worth Prize B, a full house will win them prize C, while a four of a kind is worth your most valuable self-insured prize. And, if your lucky contestant draws a Royal, they'll win your grand prize, up to $1,000,000, and Odds On will fork over the dough! 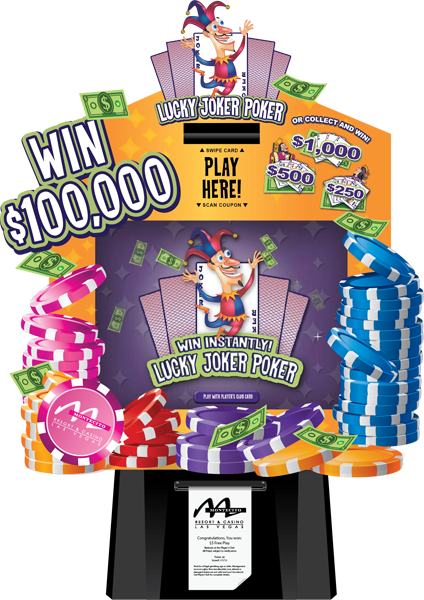 Give your players a daily chance to win cash and prizes with Lucky Joker Poker, Odds On's poker-themed Swipe Play & Win Kiosk Game! 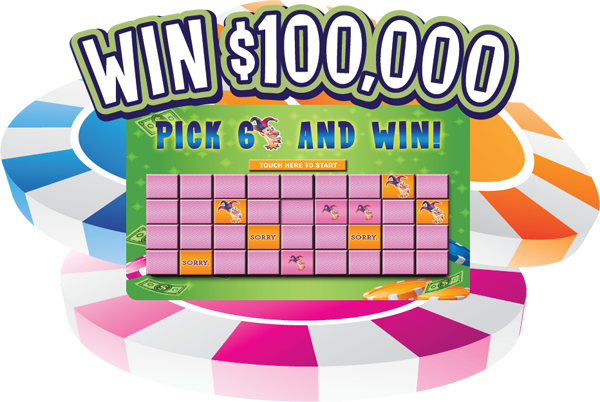 Available on a variety of platforms from space-friendly countertop units to larger-than-life Super Kiosks, this game gives players the chance to pick a lucky card and score the big bucks – up to $1,000,000, paid for by Odds On! All games feature a customizable secondary prize matrix and the ability to customize with your property logo. 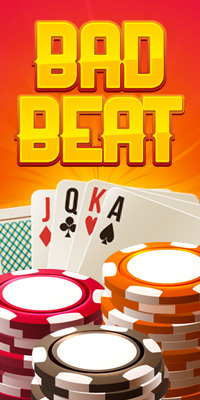 Give your players the chance to win motorcycles, cars and best of all, giant cash prizes, even when they lose a hand with Odds On's Bad Beat Bonus promotion. Let's face it, nothing works quite as well as a big pile of cash to take the sting out of a bad beat! Better still, you'll be celebrating right along with your lucky player, because when the selected bad beat occurs, Odds On will be there to pick up the tab!